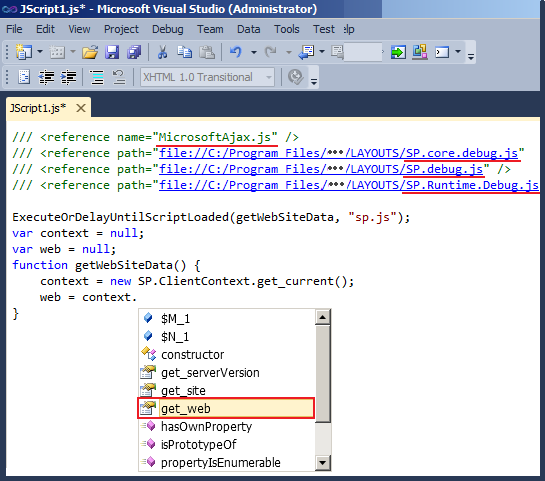 We need to reference the debug files in our JS library in Visual Studio. Simply type the following four lines at the top of our JS library. Important Note: Use for Development Purpose only, remove these statements when going for production environment deployment. Hint: If it’s not appearing, press CTRL + Shift + J together to update Jscript IntelliSense. 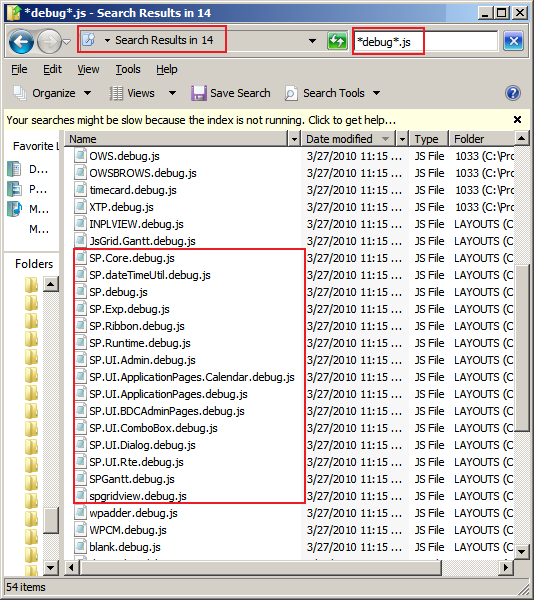 You can add different debug js files reference and you will find it in LAYOUTS or ISAPI folder of SharePoint 14 Hive.